Gorgeous blue topaz! 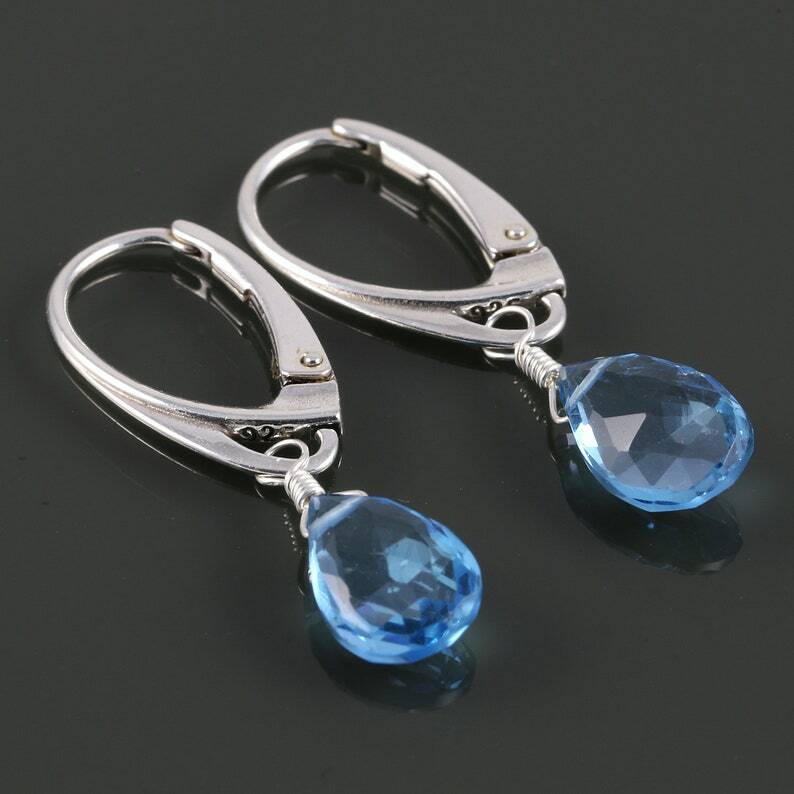 These simple earrings are Swiss blue topaz gemstones dangling from sleek sterling silver lever-back ear wires. The topaz is a lovely aqua blue and a faceted pear shape. The stones measure about 7x11mm. The earrings measure just about 1-5/16 inch (3.3cm) in length from top to bottom. Sterling silver is an alloy consisting of at least 92.5% silver. I choose to use sterling silver so frequently in my work because of its affordability, its durability, its beautiful white color, its ability to take on a high polish, and unlike plated metal, it does not have a coating that wears off over time. Lovely! Thank you so very much! Fast shipping and great quality product.